Gratuitous ARP on each interface to recalculate L2 subnets. 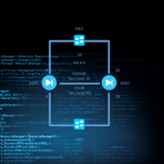 Active Standby failover means that two units are working in active – standby configuration where active state is always present on one of the failover pair. The other one is standby. Standby has identical configuration as active and pools an active unit with keep alive packets. Based on defined timeout (5 seconds pooling interval and 3 times repeats, configurable) failover condition is checked. If failover condition is meet, standby unit becomes active and acquires active IP address and MAC, standby IP and MAC goes to standby Unit. 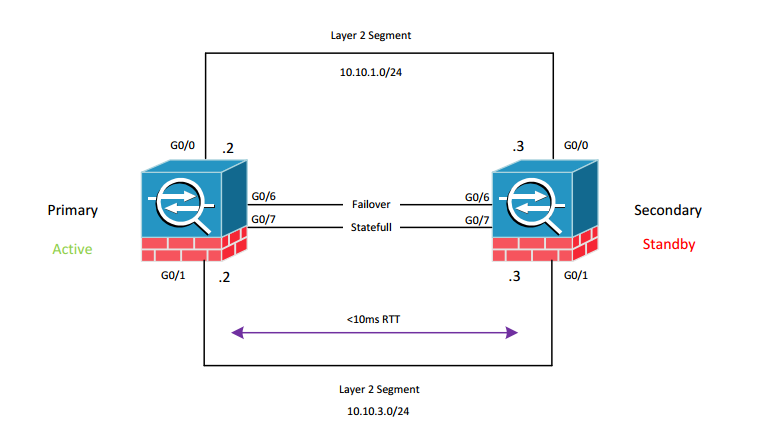 Basic configuration of failover is presented below. TIP: to switch-on failover, use command failover on both units. If a unit boots and does not detect a peer, it becomes the active unit. and the secondary unit becomes the standby unit.